The easy answer is I was infected with the architecture bug when a dad brought graph paper to a Boy Scout camp and had the scouts draw floor plans of their family homes. The true answer is because of one particular friend of my mom’s who would indulge and encourage me to draw outrageous house plans every time she was over for dinner. Somewhere between the home with an indoor zoo and the one that looked like the Starship Enterprise, I was hooked. 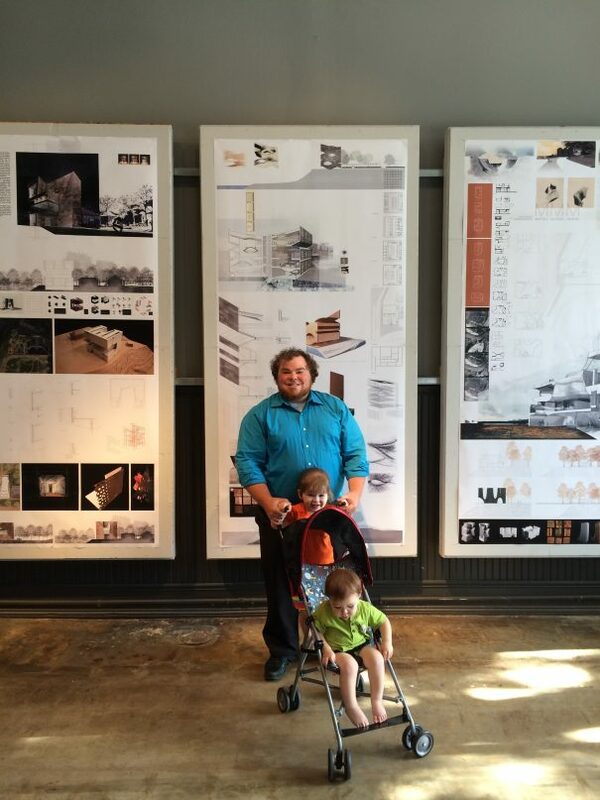 Bachelor of Architecture, University of Arkansas; 2007 SOM Traveling Fellowship – I was awarded a traveling fellowship from SOM as part of a national student portfolio competition. I was the only undergraduate recipient and the first ever from the University of Arkansas. For the research portion of the fellowship, I travelled throughout Europe studying some of the best public spaces in the world, and brought my new understanding of place-making home to Arkansas. 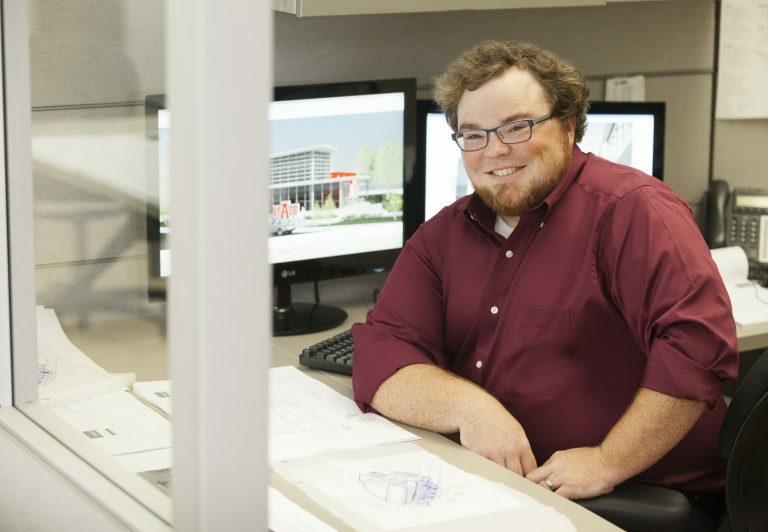 I have had the pleasure to work on several award-winning projects ranging from urban design to higher education buildings, from restaurants with the barest of shoestring budget to world-class office buildings. I have also had the opportunity to serve the profession through the AIA at local, state, regional and national levels. I am heavily involved with the local design outreach and community design center, studioMAIN. As a founding member and current chairman, I am proud of its impact on our community and culture. On the weekend, you will most likely find me out exploring with our two young children. Whether at the zoo for the morning or at the Old State House for a costume party, we are rarely without an adventure. Outside of that I struggle with living in a house too small to play my drums without neighbors alerting the authorities, and assuring our two dogs that we really do still love them. • Dish: anything my Cajun wife cooks!